Peeking at someone’s diary is considered very bad manners, unless the diary is published. I haven’t considered diaries very interesting until now and have only ever bothered with Anne Frank’s. Have you read an interesting one? 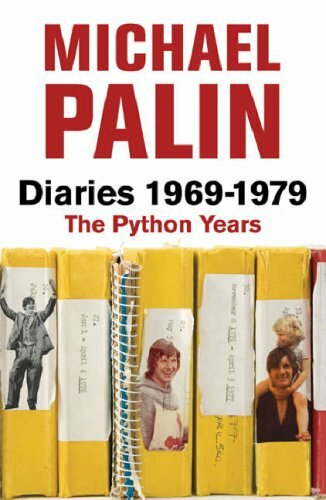 I was browsing at Archives Secondhand Books in Brissy on Saturday and picked up the Diaries of Michael Palin, Harry Truman, Kenneth Slessor and Lady Bird Johnson. I thought, maybe, if I synchronise the diaries as best as possible (say, a September in the writer’s era) and read just one entry per day from each, it shouldn’t require very much time or energy and might be more interesting. I already had Anne Frank’s and have since managed to get hold of secondhand copies of the diaries of Che Guevara, Virginia Woolf, Rev James Woodforde and Sgt. Alvin York. Then I thought, maybe it would be interesting to summarise the entries along with some background and commentary. ~ by Garry on September 6, 2011.